A family tree site is offering a free app to get your images from paper to digital. The idea is that you take a picture of the printed picture using your iPhone. 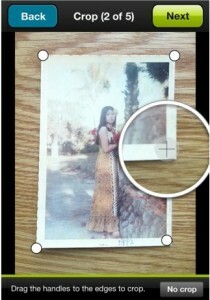 The 1000memories app then lets you align the image on the iPhone so it is straight and clean. 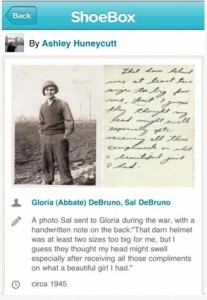 You can add text to the image as well as keywords, then upload to the online family album. So far, I have yet to see where they are charging for the iPhone app or the online service. Maybe bigger accounts of shared accounts carry an upgrade charge. I have yet to see that though.